Almatis (www.almatis.com) is committed to provide globally, high quality specialty alumina products and leading edge services. Almatis is the world's leading global producer of alumina-based materials for refractory, ceramics and polishing applications. Almatis has nine wholly-owned and strategically-located production facilities in Germany, the Netherlands, Japan, India, China and the United States. A broad network of sales offices around the world places Almatis in the position to understand the local market dynamics and to be close at hand for all its customers. In their operations, Almatis uses color Kanban tags to trigger their required production. With their make-to-stock production, color tags on their Kanban production board identifies visually the products to produce. In addition, Almatis uses color Kanban tags to trigger which products to produce to place in inventory. Every day, Almatis produces approximately 650 color Kanban tags in 15 to 20 colors to represent their required production in each of their plants globally. Working with me, Bill integrated a 30 day try/buy TM-C3400 demo printer into their SAP system easily. He was very happy with the print quality of the tags from the TM-C3400. Given that I am not a SAP “expert”, I was very ecstatic that we got them printing so quickly. Once running, Bill sent videos to the other plants as well as his manager of the TM-C3400 printer running and print samples. After sending the video’s, Bill got very positive feedback, including this feedback from Bill’s German counterpart: “looks good and will replace the printers if the price is OK.” As the Epson TM-C3400 costs about 15% of their current option, I believe pricing is a significant advantage. This success story from Almatis works on a number of levels. First, contact your customers using Kanban solutions in manufacturing to discuss how color tags will increase the accuracy and speed of their production system. 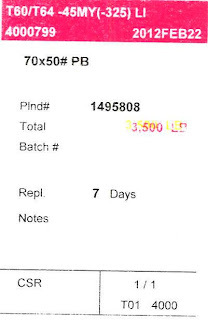 Before you do, be sure to review my earlier blog post covering Upco to understand how the use of color labels and tags work for in-process inventory control. Second, contact any of your customers using color thermal transfer printers to present how the Epson TM-C3400 ColorWorks label printer is less expensive and easier to use/service than thermal transfer color printers. End users with TEC printers are great targets. Third, contact your customers using SAP to see how color labels and tags would benefit their existing applications, especially printing Kanban cards. And once you do contact these types of customers, let me know how I can help! Since 1995, Octochem has provided marketing solutions to the chemical, biotechnology and food ingredient industries; and has changed how marketing gets done for their customers. By bringing innovative internet-based logistic processes, OctoChem delivers samples to end users faster and at less cost while reducing risk for their chemical and biotechnology customers. 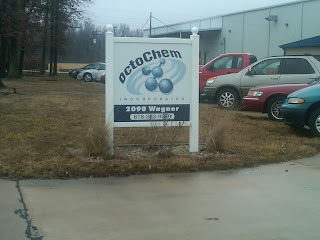 You can learn more at www.octochem.com. As many customers ship internationally, Octochem is now required to comply with the Global Harmonized System of Labeling (GHS). http://www.unece.org/trans/danger/publi/ghs/ghs_welcome_e.html. 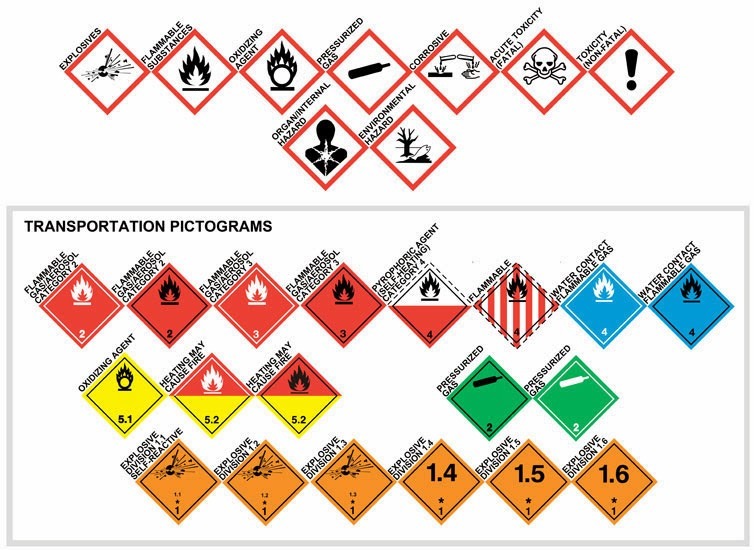 With GHS, Octochem is now required to print color icons, hazards and warnings to insure consistent communication internationally. 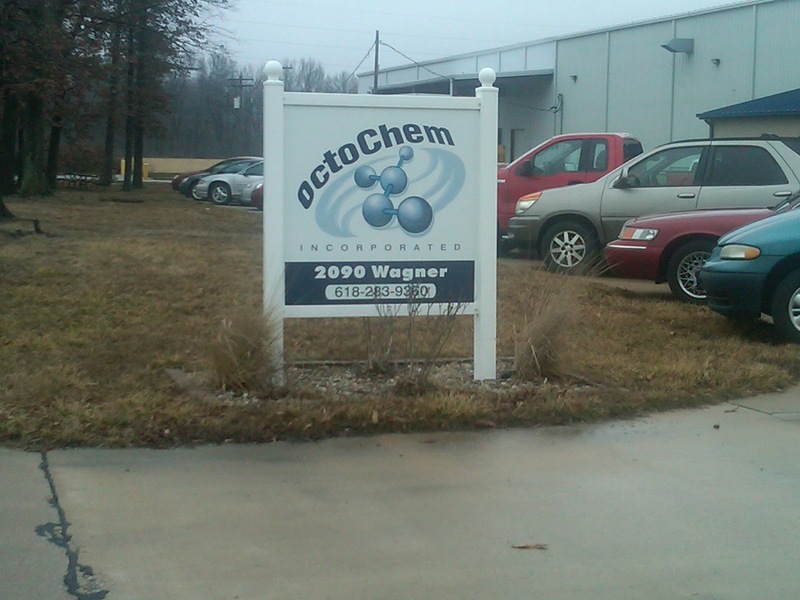 In addition, some customers want Octochem to produce labels with their logos. 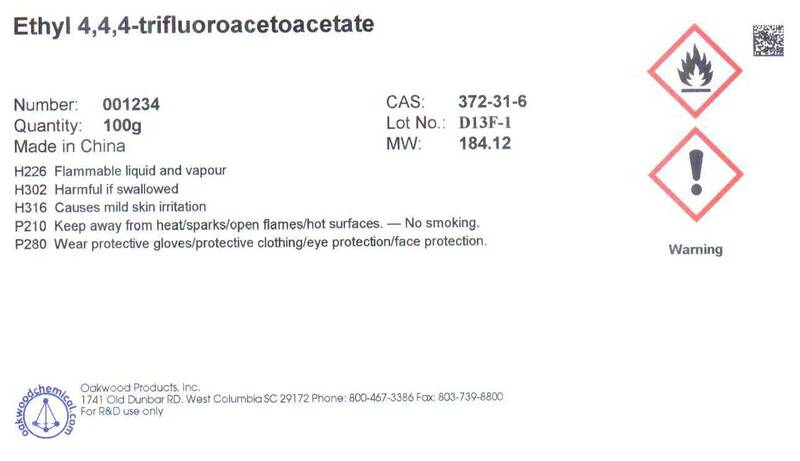 To meet the new regulatory and customer requirements, Octochem purchased a TM-C3400 ColorWorks printer. To print, Octochem accesses their customer’s SAP software to produce a label using Microsoft Word. 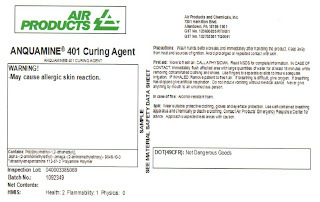 This process insures Octochem is using the latest version of the label; and makes it easy for their customer service agents to print the label and add it to the order. 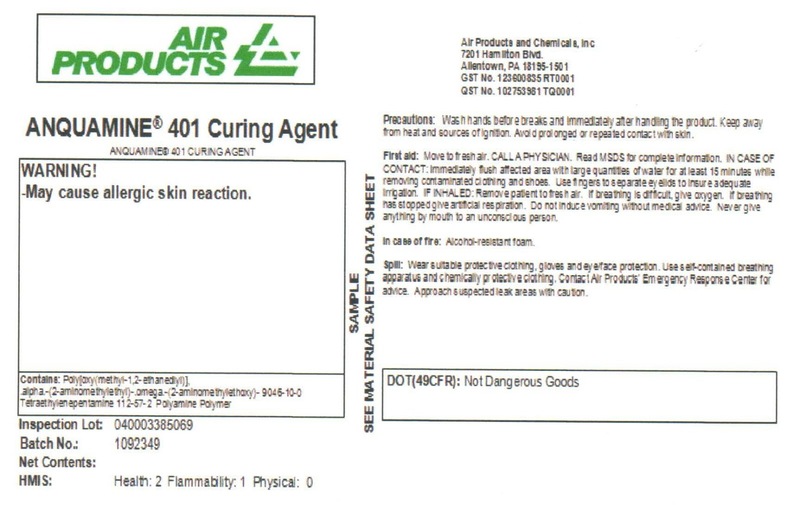 If you have Chemical Manufacturers with lots of products/SKU’s as customers, talk to them about moving to print-on-demand color labels. Give me a call if I can help you with these types of prospects. Clayton County Georgia Sheriff’s office runs the Clayton County Jail, which was completed in 2000 and has a capacity of 1,920 inmates. Inside the jail, there are eight-96 cell, 192-bed housing units and eight-48-bed dormitories. With an on-site medical facility, the jail cost over $93,000,000 which was paid in full prior to occupation by a Special Local Option Sales Tax. 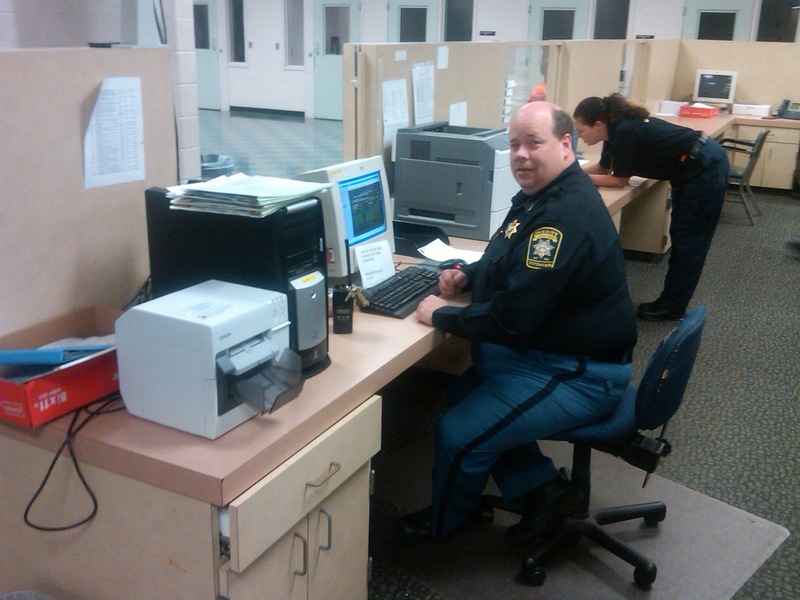 In the jail, deputies process 80 to 100 offenders each day. During check-in, deputies print up to 12 labels (over 1,000 per day), including one that was required to be cut to size to fit into their non-destructible wristbands. This process took a significant amount of time and created a great deal of waste according to Lt. Robert Pauls, who works in the administration of the jail. “We needed a system to print and cut a label at the same time to fit into the wristband” says Robert. Based on this need, Robert went looking for an alternative printer; and found the Epson TM-C3400. Now the deputies print/cut and insert a 4” x 1” label with a picture into the inmate wristband. “The label printer is saving us time and is much easier to use” says Robert. “You guys should exhibit at one of the industry tradeshows. 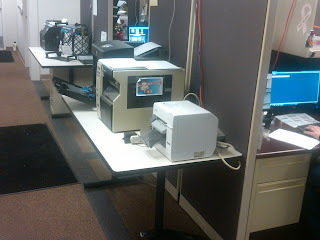 I looked for a printer like the TM-C3400 at a recent show; but I did not see anyone exhibiting this type of device”. With between 3,200 to 4,000 prisons and jails in the United States, these institutions may be a great new opportunity for value added resellers to provide print-on-demand labels. With one county jail using over 1,000 labels per day, this market sounds like an opportunity. 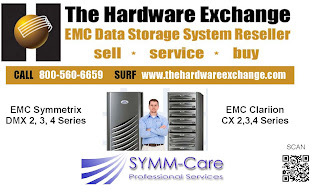 Since 1993, The Hardware Exchange http://www.thehardwareexchange.com/ has been providing pre-owned EMC Data Storage Systems to companies all across the United States, Canada, Brazil, UK, China, Taiwan & Japan. They feature a full line of EMC Data Storage Systems and parts; providing customers a cost effective means to store and protect valuable data. In addition, The Hardware Exchange has an affiliated company, Symm-Care Services that offers a variety of Professional Services for EMC Data Storage Systems. Because of the high cost associated with purchasing new storage hardware, The Hardware Exchange takes a unique approach; providing pre-owned EMC Systems and professional services to offer complete data storage solutions. The trademarks of The Hardware Exchange’s storage professionals are EMC expertise and attention to detail. To design labels, The Hardware Exchange uses Microsoft Publisher. 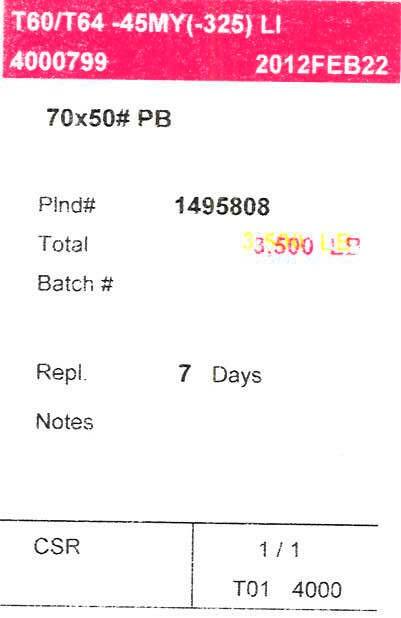 When the labels are printed, the operators add the variable data to the template, print and ship. Although happy with the labels designed in Publisher, Bob is considering moving to a label design software package. When looking at this label, you must agree; the label looks great! They stand out and POP showing this company’s attention to detail; and positioning The Hardware Exchange positively in the mind of their customer. This strong image makes it easy to do more repeat business with them. If you want to help your customers improve their brand image and repeat sales, talk to them about print-on-demand color labels with the TM-C3400. You’ll strength your position with your customer also. Oakwood manufactures and trades in a variety of chemical compounds used primarily for research and development. This company makes the building blocks for pharmaceutical companies trying to develop new drugs and is know for quality products for laboratory use. 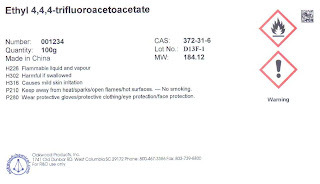 With the United Nations effort on the global harmonized system of labeling (GHS) http://www.unece.org/trans/danger/publi/ghs/ghs_welcome_e.html, Oakwood is required to change their labeling practices. Prior to the GHS requirements, Oakwood printed basic black on white labels using a standard thermal transfer printer. With GHS, Oakwood is now required to print color icons, hazards and warnings to insure consistent communication internationally. To meet these new requirements, Oakwood purchased a TM-C3400 ColorWorks printer. With the deployment of the GHS UN initiative, companies like Oakwood need to begin producing on-demand labels for their international shipments of chemicals. If you have chemical manufacturing customers who ship internationally, be sure to ask them about their plans to comply to the GHS requirements. Or contact me to help you provide an on-demand color label solution.